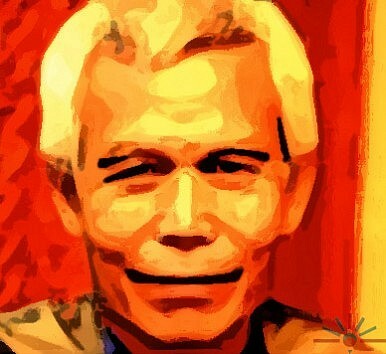 International concern over human rights in Laos is growing over the disappearance of Sombath Somphone. Laos is facing mounting international pressure over the disappearance of civil rights worker Sombath Somphone last December. Some have called for the Association of South East Asian Nations (ASEAN) to intervene, with high level diplomatic efforts underway by the United States and Australia. Australian Foreign Minister Bob Carr raised the issue with his Laotian counterpart and Laos Prime Minister Thongsing Thammavong during a visit this week, telling them that Sombath had many friends in Australia who admire his work who were very worried about his disappearance. Carr chose his words carefully, saying he did not want to stress Sombath’s wife, Singaporean Ng Shui Meng, who has campaigned for her husband’s release. He said he had gained assurances from the Laos leader that the relevant departments would continue to pursue the issue and added that Australia would also continue to take an active interest in the case. Carr was speaking to reporters in Bangkok after his visit, following an appeal by Daniel Baer, Deputy Assistant Secretary of State for Democracy, Human Rights and Labor, to Laos for more information on the missing 62-year-old, who campaigned tirelessly for sustainable development. Laos maintains that Sombath may have been the victim of a personal dispute and say they have no knowledge of his whereabouts. Observers remain skeptical, given that he was last seen in police custody. Further, there is CCTV footage that shows him being taken from a police post by two unknown people after he was pulled over while driving home from work. New York-based Human Rights Watch has also urged ASEAN to intervene, which is unlikely given ASEAN members’ insistence that they do not interfere in the internal affairs of neighboring countries. “The Lao government’s long silence about Sombath Somphone’s whereabouts increase our concerns for his safety,” said Brad Adams, Asia director of Human Rights Watch. “The authorities seem more focused on deflecting international criticism than genuinely investigating Sombath’s disappearance,” Adams added in a letter to the ASEAN human rights commission. Adams is right. Laos is on a borrowing binge, with billions of dollars being invested in the country by Chinese, Thai and Malaysian investors for the construction of roads, dams and power stations. The government hopes these infrastructure projects will lift the dirt poor communist country out of poverty. However, the poor human rights record, fanatical grip on freedom of the press and entrenched corruption of the one-party state are images the country has long struggled to dispel. The disappearance of Sombath only adds to the negative perceptions. Sombath’s disappearance came barely a month after ASEAN signed off on its human rights declaration, after years of debate. While ASEAN leaders described the declaration as a landmark moment, critics said it was insufficient and actually gives countries the right to ignore human rights rather than protecting them. The ongoing situation in Laos unfortunately seems to support this view.